Waterloo Food Month, a food festival like no other, is already underway, and if you'd count yourself a foodie, be sure not to miss out. Running from June 28th - July 27th 2018, Waterloo Food Month burst to life with a 'Flavours of the Waterloo World' street party on Lower Marsh. This year's festival is celebrating the cultural diversity of the neighbourhood and the range of cuisines available to sample on the doorstep, from Italian to Ethiopian. Throughout the month a series of food-related events are being held, and every one of them sounds unmissable. Events include jazz and dumpling tastings every Sunday evening in July at the Baltic Bar and Restaurant on South Bank; a 'Cake lock-in' at Konditor & Cook; an 'Around the World' pub quiz at The Horse & Stables; a celebration of National Tequila Day at Paladar, and a Waterloo Food Banquet hosted by Oasis Waterloo Hub. 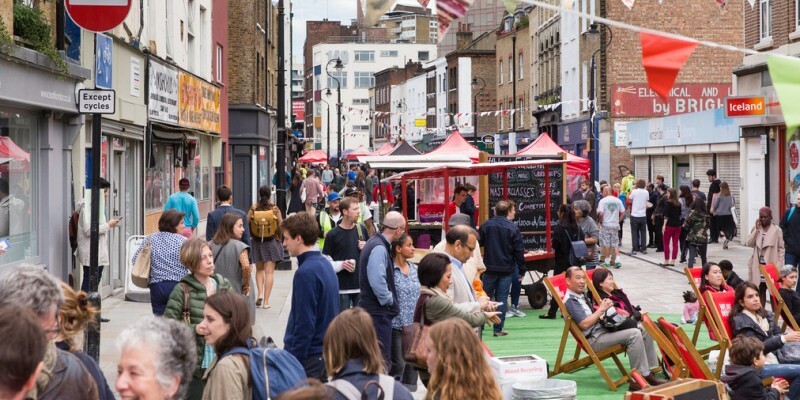 From 11th – 25th July, there will also be tours of Lower Marsh's market stalls where attendees will be met with the market manager and introduced to all the cuisines on offer. Organisers have pulled out all the stops to make this food festival one to remember. If you want to join in this celebration of different world cuisines and sample delicious food and drink, this is the event for you. Find out more about Waterloo Food Month 2018 here. Are you looking to buy or sell a property in Borough?